We are super excited here at LeVida as today the much-loved Julia Donaldson character Zog has finally arrived in our store. Who can but help but fall in love with Zog. The biggest but also most accident-prone dragon in Madam Dragon’s school. Yet another fantastic character from the much-loved Julia Donaldson. A funny rhyming story which introduces children to perseverance and also the importance of following your dreams. This magical children’s story is also set to hit our screens this Christmas. The enchanting adventure with it’s all-star cast, it is sure to be an animated delight. The line-up including Sir Lenny Henry as the narrator. Hug Skinner as Zog, Tracey Ullman as Madam Dragon, Patsy Ferran as Princess Pearl and Kit Harrington as Sir Gadabout. 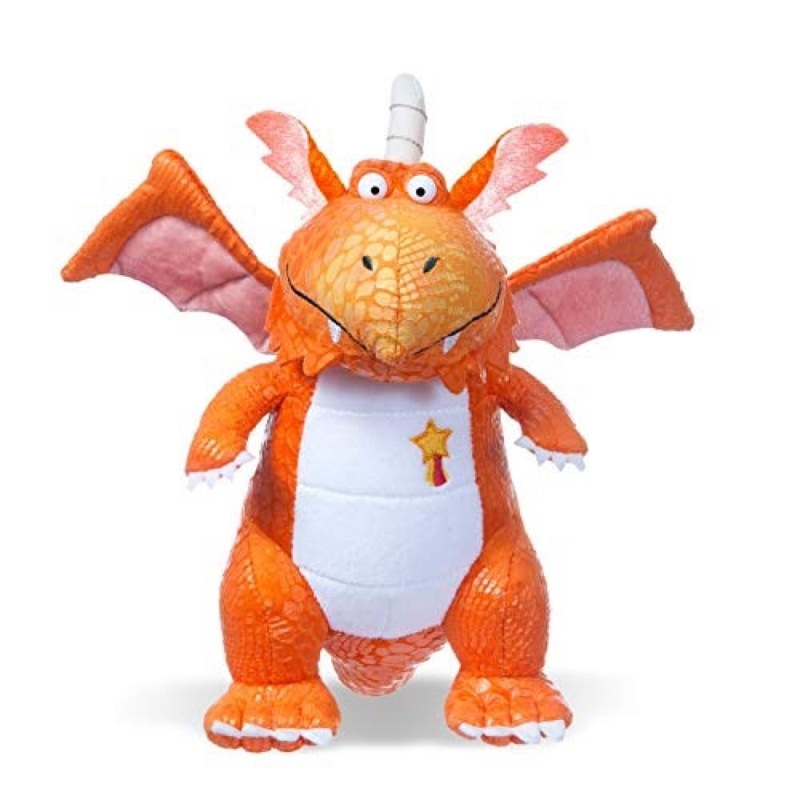 To coincide with this Christmas time treat, Aurora have added the magical Zog to their range of Julia Donaldson characters. Joining the much-loved Gruffallo, Gruffalo’s child and the stickman to name but a few. A soft and cuddly plush 9 inch (23cm) soft toy. This magical Dragon is sure to be in big demand this Christmas. So why not grab yours now to avoid disappointment. Aurora is one of the leading companies for high-end, soft and huggable plush toys. With Aurora, you are assured excellent quality and value for money. Next post: 2019 Smurfs figures in store now!